A sterling silver seahorse charm can be an emblem for exceptional male commitment and exemplary great dads. As you know, most fishes lay eggs. Seahorses are distinguished as a fish breed as they undergo pregnancy and give birth to live young. Generally, in the animal world, the male wanders off as soon as his mate gets pregnant. With seahorses, the males become pregnant and give birth! To understand how male seahorses can become pregnant and carry babies, it helps to think of kangaroos.  You see, male seahorses have a special patch of skin called a brood pouch on their front-facing side that the female seahorse lays the eggs into. The other trick male sea horses have learnt is to use their strong muscle to keep the pouch closed and the eggs safe. Just how unique is the seahorse! 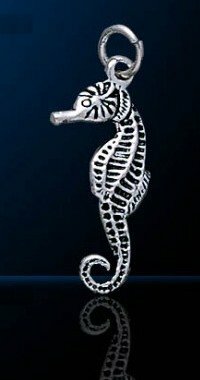 If you are looking for a seahorse charm, how about one with a unique design too. This is how it all began. A little kissing and one thing led to another. It is what got Mr. Seahorse pregnant. To keep the kissing seahorse design wholesome, a pearl is placed in between those hot bodies. If it is the male seahorses that become pregnant and give birth, what makes them male? Just in case you are wondering, the answer is sperm. Yep, 'he' and 'she' is ultimately about sperms and eggs. Much effort has gone into detailing this 925 sterling silver seahorse piece and you can even see details like the eye, crown and the characteristic long snout for sucking in plankton and small crustaceans drifting by. This Seahorse is 3 dimensional, smooth and curvy. After an elaborate courtship, the female seahorse inserts a tube inside the male's brood pouch and deposits eggs into it and we have a pregnant father. Our proud father then settles the eggs in his pouch by knocking his body against a coral or plant. This seahorse has a detailed thin body that is three-dimensional. A rather classic design. 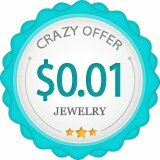 Are you concerned your seahorse jewelry gifts will not be appreciated? 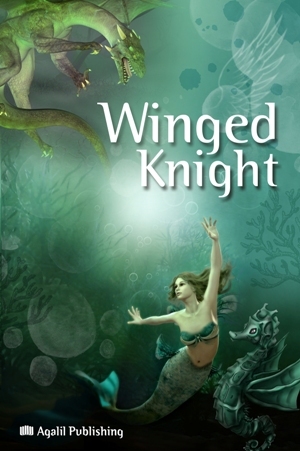 We have created ‘Gift Enhancers’ like Winged Knight to turn your seahorse jewelry into perfect gifts. You will find this charm to be especially life-like. Besides attention to details, another factor is the darkening of the recessed parts of the seahorse body. 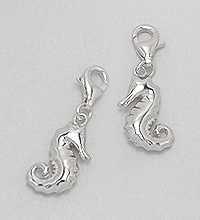 If you want your silver Seahorse charms to sparkle, this model and the ones below will delight you. Ok, the beautiful sparkles from the Cubic Zirconia did not show up on the photographs. You'll have a pleasant surprise how good they look when they turn up. The seahorse daddy carries the eggs in his pouch until they hatch, then depending on species, releases as few as 8 or as many as 2000 fully formed, miniature seahorses into the water. The baby seahorses are replicas of the parents measuring a few millimeters long. If you have not seen a daddy give birth, you've got to watch this! Some do it the hard way. Watch this proud father 'labour'.